The Montana Farm Bureau has submitted comments to the Department of the Interior regarding the Bureau of Land Management's Greater Sage Grouse Land Management Plan. The state's largest agricultural organization encouraged the DOI to make several improvements to the plan in order to make it more workable for multiple-use lands. Minimum stubble height requirements on perennial grass and other types of vegetation during certain times of the year: These restrictions limit the extent to which ranchers can graze their animals on public lands, since grazing beyond a certain point risks leaving the grass below the minimum height specified in the plan. In many cases prairie grass doesn't reach the proposed minimum height, especially in dry years or years following drought. Requirements that new structures on lands covered by the plans have a neutral or beneficial effect on Greater Sage Grouse habitat: This requirement curtails placement of management structures, such as fences, windmills, and various water developments, that are essential for ranching and farming. Restrictions on construction of new permanent facilities within 1.2 miles of occupied Greater Sage Grouse leks: These restrictions effectively prohibit the construction and use of certain facilities in certain areas. These facilities may include corrals, water tanks and windmills, etc., which are necessary to farming and ranching. Mandatory removal of livestock ponds in certain perennial channels: When a livestock pond in a perennial channel is deemed to have a negative effect of riparian habitats, the proposed plan requires it to be removed. Obviously, reservoirs are often vital for watering herds of livestock in Montana and removal would cause undue harm to ranchers and their livestock. Forced removal or modification of certain fences in areas within 1.2 miles of Greater Sage Grouse leks: Ranching and herding require fences to manage livestock, but the plan variously bans or requires modification of fences in ways that will require more labor for ranchers and make ranching less efficient. Various plans need to work together with the states management plan: There cannot be one plan for private land and another for public land. The State of Montana worked very hard to establish a management plan that would satisfy requirements and protect the species. 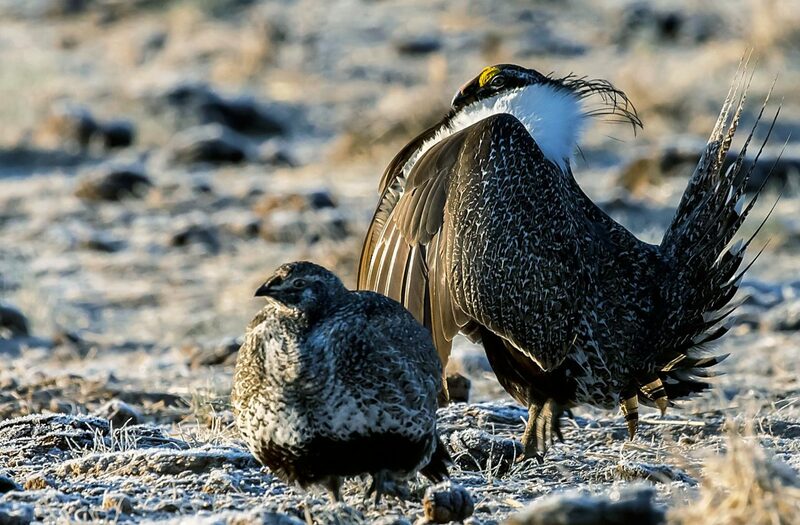 The state plans have been approved by the Fish and Wildlife Service for the protection of Greater Sage Grouse; therefore, those plans should be used for public lands, as well. Evaluating and reforming the current Sage Grouse Land Management Plan will allow sage grouse, cattle and other multiple uses to flourish together in the American West.